I recently visited friends across Oahu, Hawaii, who provided a great reminder of non-agency life. They wear bathing suits under their work clothes, they don’t have agency friends (other than me), and they couldn’t do “marketing-speak” if they tried. Refreshing! At dinner one night, my friend of 20+ years (who forgets what my job is) mentioned that she doesn’t get ads. “You don’t get them, as in, you don’t know why people buy advertising?” I asked. “No, I don’t get them,” she said. “I pay so that I don’t have to get ads anymore.” In essence, she opts-out of the whole advertising thing. Unfortunately, there is NO ad blocker or premium subscription that can completely remove ads from your life. With each new ad-blocking invention, I contend that we are no closer to ridding our lives of ads than we were when ad blocking started. Billboards and logos will never go away even if we have a premium subscription to life. 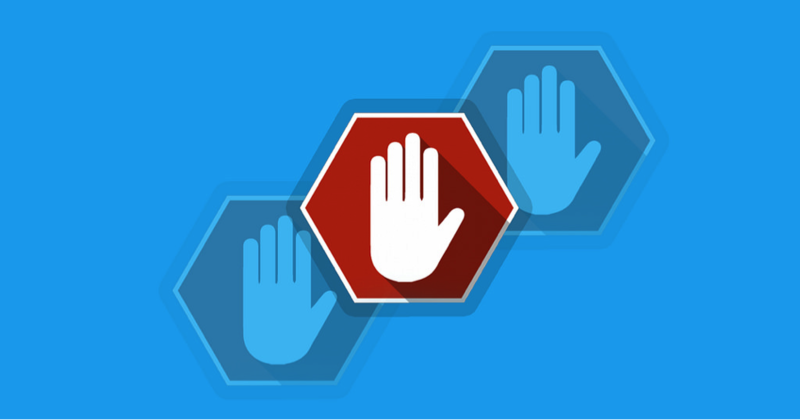 First, most people over-estimate the use of ad-blockers and of premium ad-free services. 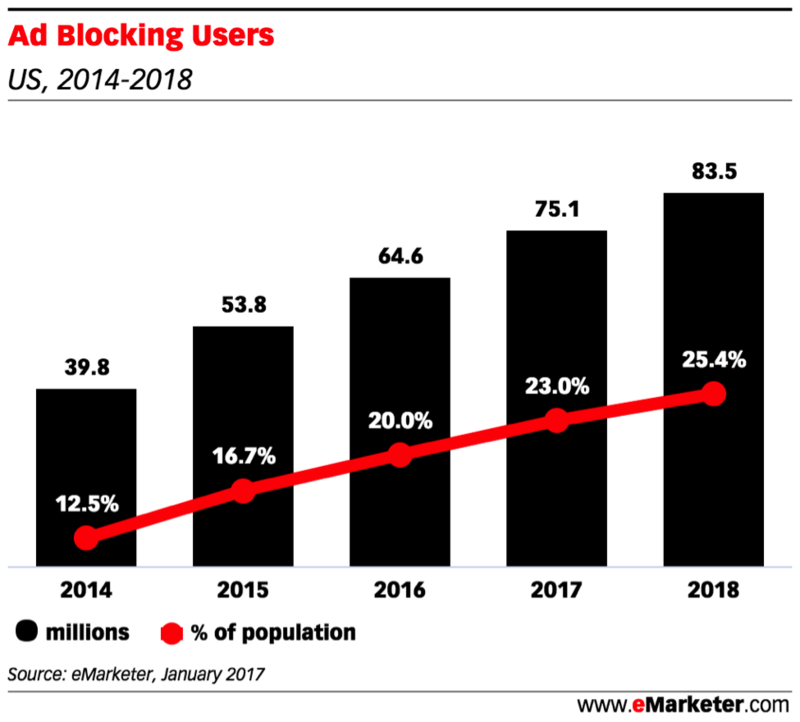 eMarketer’s estimates from 2017 show between 20-23% of the online population using ad-blockers, which does sound scary. However, let’s look at this in the context of impression volume. There is still vast inventory available at bargain rates for advertisers to buy. Even if supply decreases slightly due to people who use ad-blockers, bid-based buying means that the inventory will go for a slightly higher rate, but not that the publisher will make less money. The overall ad landscape needs to evolve to incentivize publishers to offer better formats, but ads themselves aren’t going away. Similarly, premium subscriptions may limit exposure to ads but even Hulu admits that the vast majority of revenue is still tied to ad sales, meaning these services we love are still dependent on advertisers and will keep them happy. There is a significant gap to close before we could ever be ad free, even on platforms that offer premium options. Second, people under-estimate the amount of ad revenue that would have to be replaced if ads were truly blocked. Magna Global, quoted by eMarketer, estimated that 70 billion was spent on digital advertising alone in the U.S. in 2016. That is significant revenue! No move by a publisher will ever jeopardize that income. For example, on June 1st, Google announced that the new Chrome browser with ad blocker will “clean up the web” next year. In reality, they are only going to block a select set of offending publishers and advertisers. 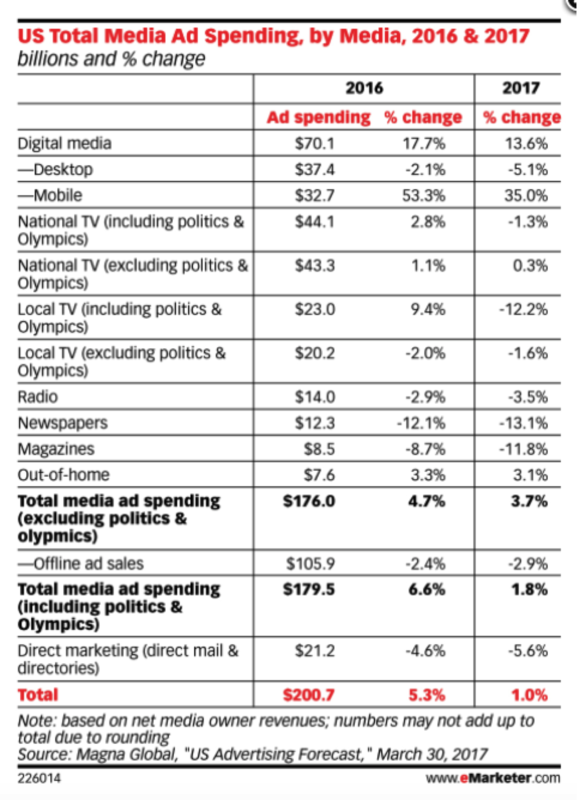 The majority of “junk” ads comes from a very small set of publishers. When those are blocked it may affect the cost of ad bids temporarily, but the publishers will just sell all the inventory to brands that do pass the quality test. The ad blocker may sound nice to the ad-wary public, but the volume of ads won’t actually change one bit. Better ad formats will have to arise (in mass) as replacements for revenue long before current ad types can truly go away. And, better quality ads would be a win-win-win, for publishers, advertisers and audiences. As marketers, what do we do about a culture that loves to hate on ads? Is it possible for advertising to ever truly be valued, trusted content, while still delivering ROI? It’s incumbent upon us as marketers to try. We can push our publishers for better ad options that we wouldn’t mind seeing ourselves. Ask for better insights and performance metrics on those alternative ad formats so you can prove that they work. Strive for creative that adds value. Ads and the revenue they generate are not going away, so please push yourself and your team to make ads that our friends outside of marketing would be happy to opt-in for.